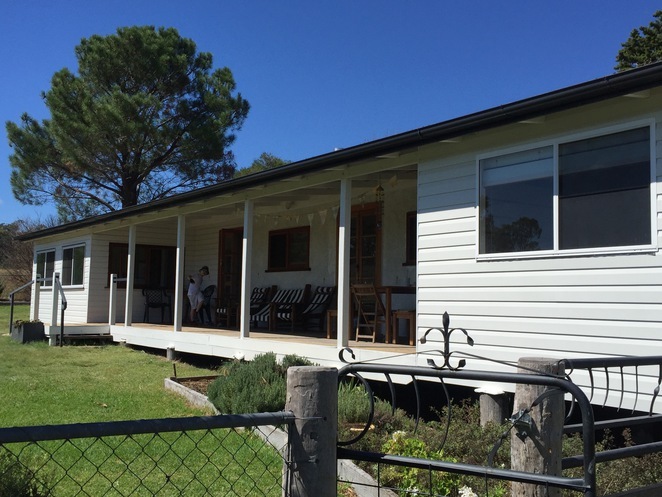 The granite belt is blessed with many accomodation choices, ranging from camping through to Eco-stays. On a recent trip we were lucky enough to choose Mallow CottageYour text goes here, which is listed on Stayz.com.au. 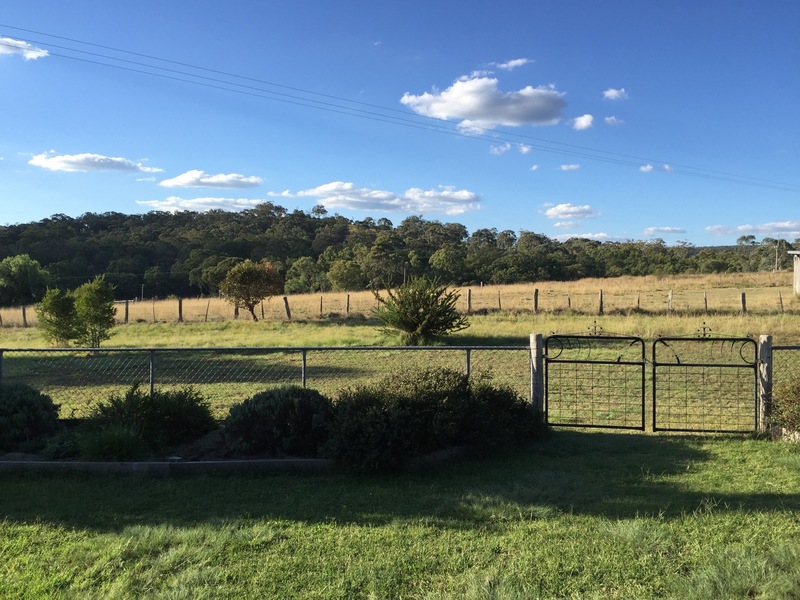 Offering a peaceful farm retreat, devoid of Internet and mobile phone access, this delightful little cottage offered our family a chance to disconnect from modern life and appreciate a slower pace. The furnishings were tasteful and comfortable, with much of the furniture being restored or made by the son of Mallow Farm's owners. This is in keeping with their philosophy of keeping damage to the environment at a minimum, as Mallow is an organic lamb farm. We treated ourselves to a breakfast hamper for our first morning away, enjoying lamb sausages from the farm, organic eggs, fresh bread and locally produced jam, as well as some bonus figs from the fig tree which were bursting with colour and flavour. Guests can purchase the award-winning organic lamb from the farm door to cook during their stay or to take home with them. The cottage has three bedrooms, with queen beds in two and three singles in the third. There is also a day bed which can be made up if necessary. You can book as few as you like, or all, depending on your requirements. Two bathrooms are on offer and the lounge boasts a fireplace, plenty of board games, books and magazines to help keep you occupied. If you want to enjoy a movie in front of the fireplace, there is also a selection of DVDs to choose from. 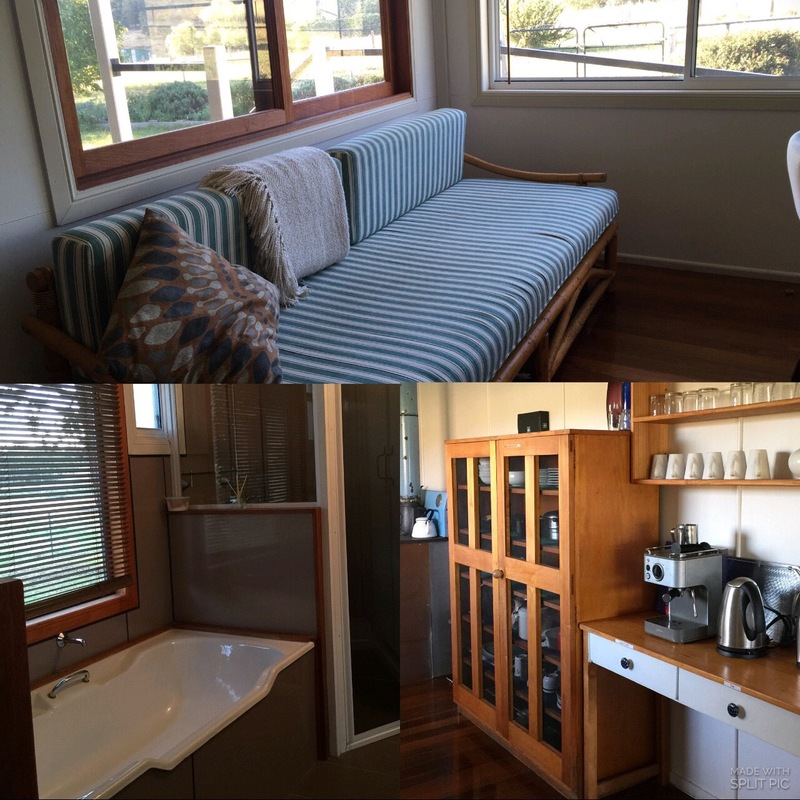 The kitchen is well equipped for your stay, and boasts a lovely old wood stove, as well as a modern oven and hot plates. The coffee machine is also a special treat for those who would miss their morning barista made coffee. Owners Helen and Andrew have provided plenty of outdoor suggestions as well. There are tracks through the farm so that you can see the working property, bush walk and visit the historic shearing shed, once a coach stop on the way from Stanthorpe to Texas. In wetter times, when the dam is full, there is a canoe available for paddling as well as the opportunity to go fishing. There is also a summer house overlooking the dam which has a wood-fired oven - a great spot to enjoy an organic lamb roast or homemade pizza. An additional option at the cottage is a wellness stay. The stay can be tailored to your requirements, but a suggested program includes yoga, meditiation, massage and self-development. The wellness program has been seen on the Queensland Weekender program. 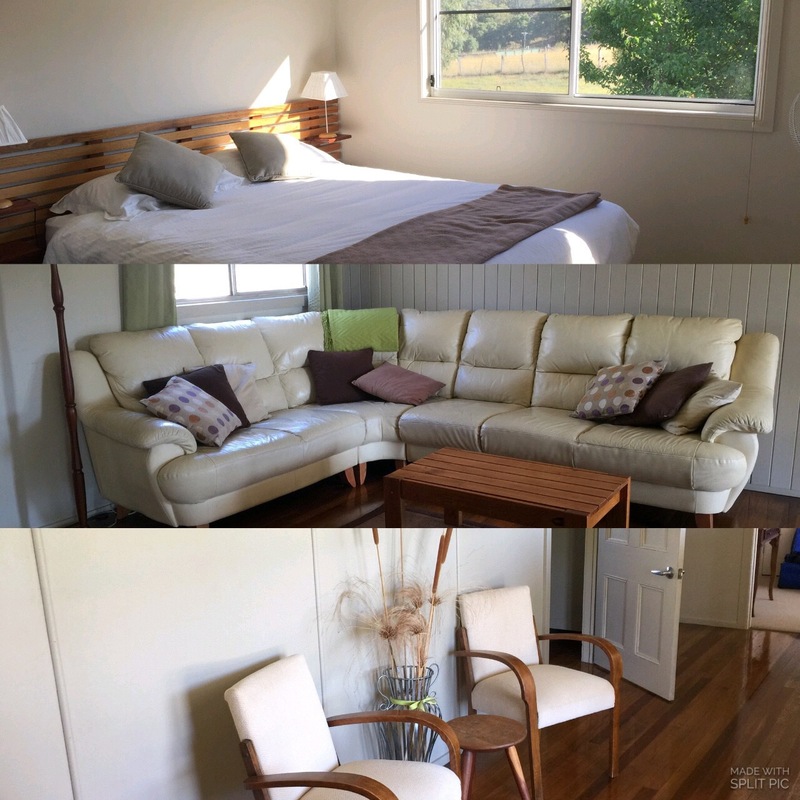 Mallow Cottage can be found approximately twenty minutes drive out of Stanthorpe on the Stanthorpe-Texas Road and offers a great spot to base yourself for exploration of the Granite Belt National Parks, local Wineries or just a quiet spot to disconnect and relax.